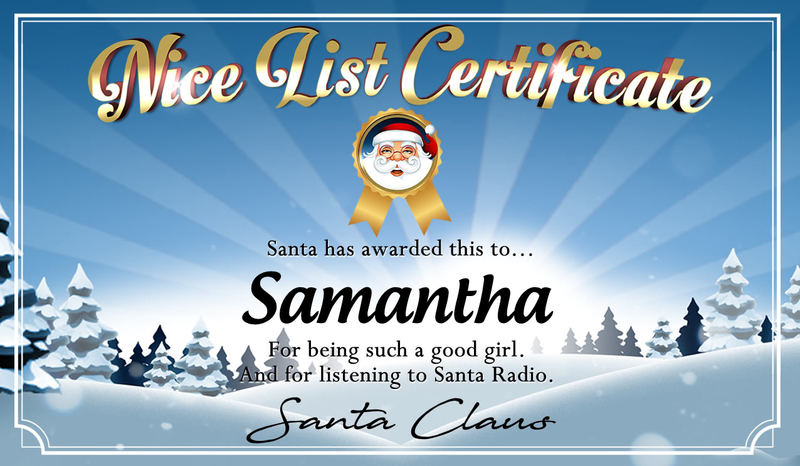 Play or Download your personalised message for Samantha from Santa. Santa has a personal message just for your child. personal message for your child. social media or by email. Loaded with top boys & girls names. Submit yours if it's missing. 10, 30, or 60 seconds. © 2019 Santa Radio. All Rights Reserved.